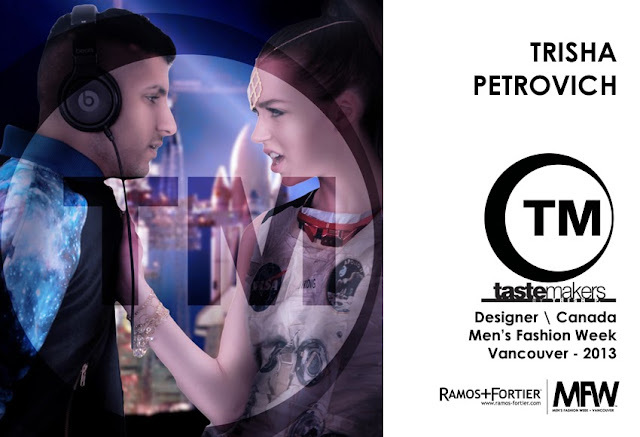 The latest season of Men’s Fashion Week in Vancouver is just 2 days away (August 10th). 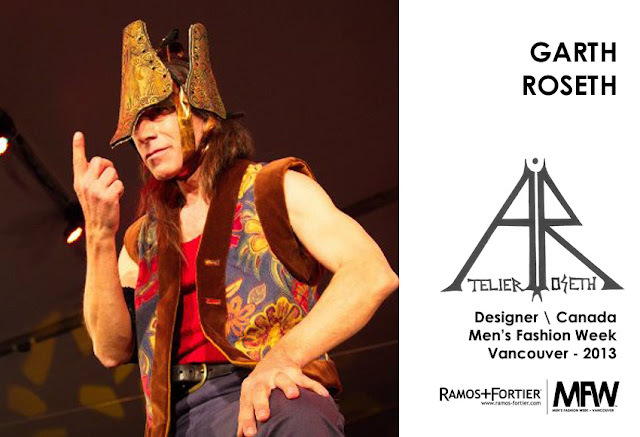 As more confirmed guests are revealed by YVR-MFW and today's the official media event, I’ve also did my own homework on the designers that will be showing this season. Two of them (Nicole Guzzo and Steve Pelman) I had an opportunity to chat with recently, and learned of their prospect for the Canadian fashion industry. 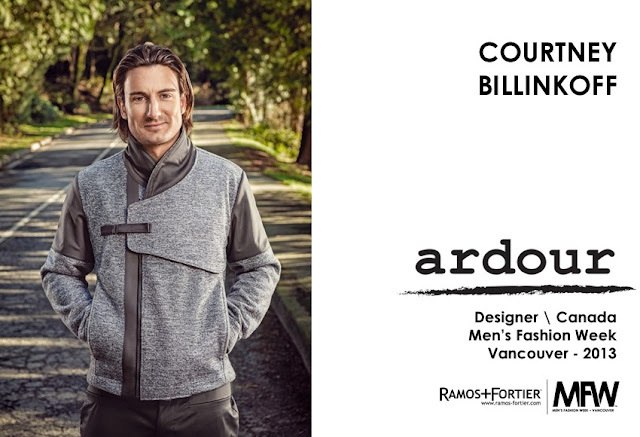 Both of these designers share the same passion for textiles, but stand on completely different ground when they speak of their focus in men’s fashion. 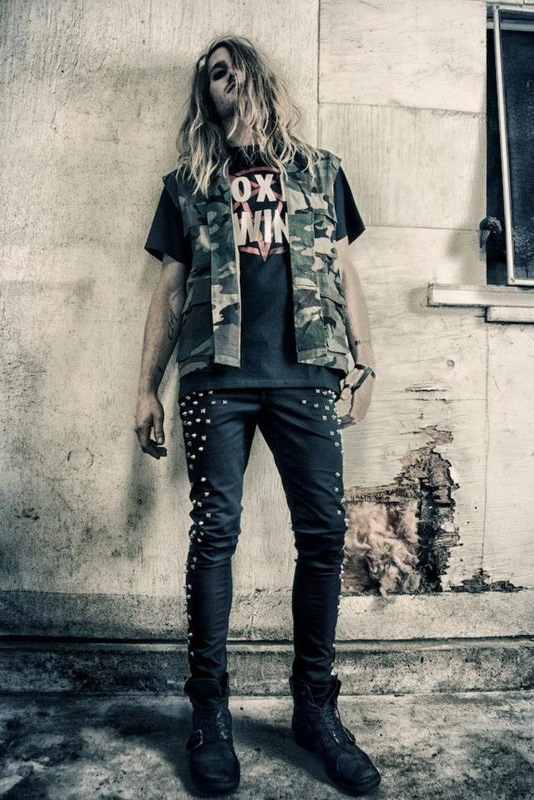 Nicole Guzzo reminded me much of YYC’s punk-metal fashion designer Nicole Rita Tomney. Not just because of their names and real-life friendship, but also their love of music which heavily influence their fashion designs. 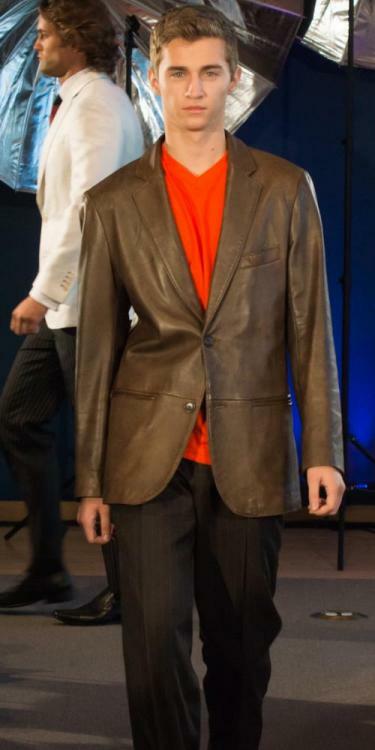 Fashion has always been a passion for Guzzo. 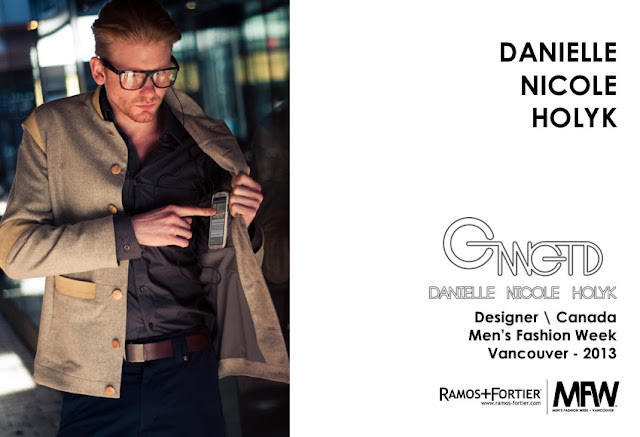 She began her collection 4 years ago, and this year will be her 2nd season showcasing her men’s collection. 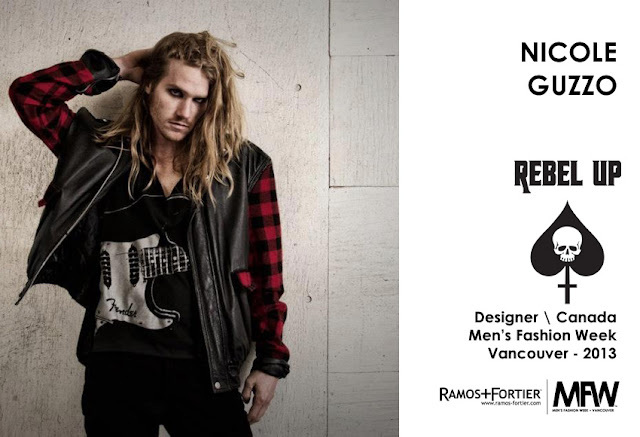 Be expected to see Rock & Roll themed pieces, made with mixtures of leather, chains and mesh materials, inspired by LA in the 1980’s and ‘Aerosmith approach’. It’s no surprise that Alexander McQueen is one of the fashion designers she admires, given her passion for designs that underlines mysterious tones. Guzzo is driven by the ‘art’ in fashion, and she believes that ‘stepping outside the box’ is one of the key components for the success of Canadian fashion designers, and to be recognized globally. On the other hand, Steve Pelman is an experienced tailor with 40 years of experience with men’s classic suit designs. It’s about technicality, precision and craftsmanship for Pelman’s work. With his musical knowledge, Pelman learned to tie harmonious relationships between tailoring and human body form. 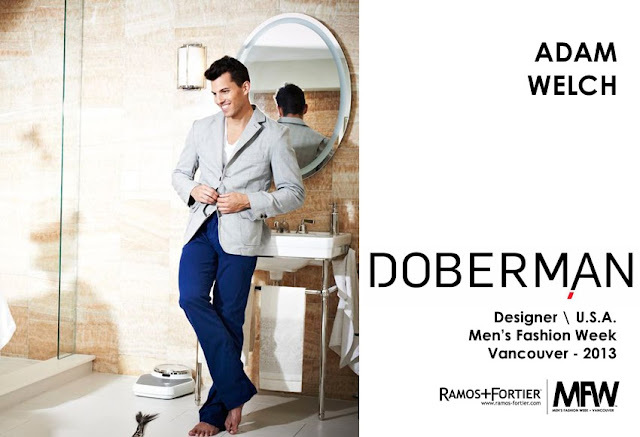 He believes that a superior suit gives a ‘value to the wearer’s body and health’. 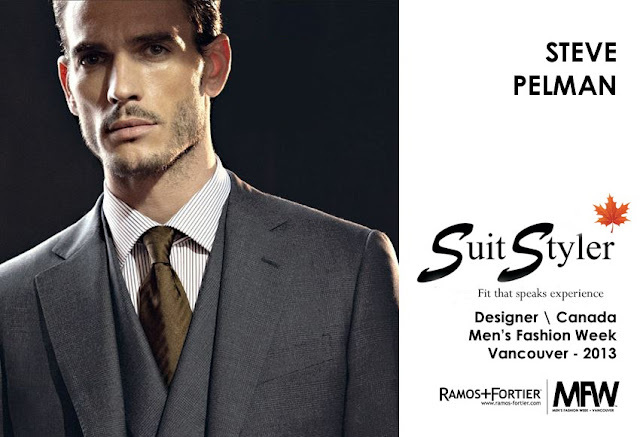 Pelman is meticulous when choosing the right garments for high quality suits. Wearing the ‘right suit’ is a lifestyle and habit, and a ‘good habit consolidates one’s personal world’. For Canada’s fashion industry, Pelman stresses the importance of creating training opportunities, perhaps via online, to develop skill sets for individuals and create employment. 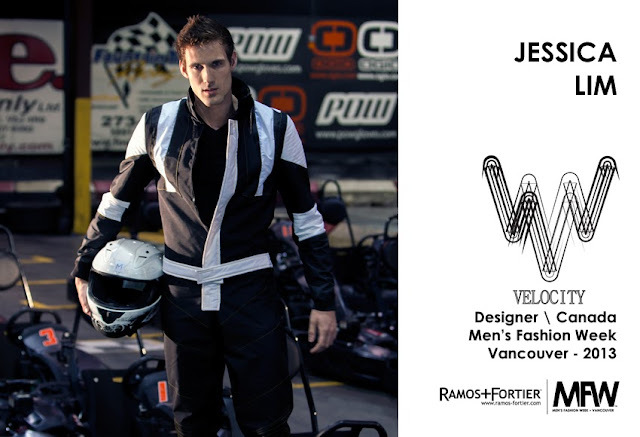 At this year’s YVR-MFW we will be seeing sports jackets, leather incorporated suits, and vest suits in his showcase. nice outfit i would like to buy one.